As our ship quietly slipped through the narrow Gerlache Strait, I watched the glacier-covered mountains reflecting in the glassy surface of the water with a feeling of astonishment. It was December 2016 and here I was sailing down the Antarctic Peninsula on the inaugural Homeward Bound Women In Science Leadership Expedition. As a biologist and photographer, I had long hoped to visit Antarctica, but this journey was much more than a travel dream fulfilled. Our world is dealing with the greatest challenges it has ever faced, among them climate change, pollution, and an urgent need for those of us in wealthy nations to lessen our environmental footprint upon the earth. We need to find solutions to these problems. My desire to do something about them led me to Homeward Bound, where I found a community of women in science who are growing a global movement to tackle these issues. Homeward Bound is a 10-year global initiative to equip 1,000 women in the STEM (science, technology, engineering and mathematics) fields with the skills to lead and to influence policy and decision-making in ways that will help to create a sustainable future for our planet. I was so fortunate to be one of 76 women from around the world (and one of seven Canadians) on the inaugural expedition, which saw us live together on a ship for 20 days as we explored the Antarctic Peninsula, learning about climate change and polar science while undergoing an intensive training program in leadership, strategy and visibility. Globally, on average, about 33 per cent of science research positions are held by women, according to the United Nations. Considerably fewer hold senior positions. In the life sciences, more women than men enrol in undergraduate programs. However, by the time women women attain PhDs and move on to post-doctoral positions, the attrition begins. Fewer women remain in science careers. Why? There are a number of factors at play. Women often have to choose between career and family, or at least put their career on hold while they take time away from work to have children. In academia, taking time off to start a family often results in lost momentum at a point in one’s career where staying current, continuously publishing in top science journals, bringing in grant money, and supervising graduate students are critical to one’s success and the likelihood of attaining tenure. Studies of women in academia have shown that women often have lower salaries, smaller lab spaces, and less access to mentors and professional networks than men. All of these things put women at a disadvantage in attaining tenure. Harassment of women in the workplace is also still a reality in the science fields and another contributing factor to the lack of women in leadership roles. As a woman in science, I know firsthand the challenges that women face in pursuing a career in STEM. That's why I believe initiatives such as Homeward Bound are critical. They provide not only the opportunity to bolster our leadership skills, but also to discuss gender issues in science, share our experiences and stories and find solutions that we can help to implement. Homeward Bound is also an important platform on which to raise much-needed awareness of the different challenges women face around the world, and it gives us a means to inspire and support other women as they navigate their science careers. Aboard the ship, as we made our way along the Antarctic Peninsula, we spent half of each day in the classroom in intensive leadership training. We learned about the characteristics of successful leaders and different leadership styles, and did diagnostic tests to learn where our own strengths lie and how to enhance them. To be effective influencers, we need buy-in. The best leadership skills and strategies are for naught unless we can garner support for our initiatives. The Homeward Bound program showed me how strong leadership rooted in self-knowledge, strategy, and visibility are the key ingredients in becoming global change-makers. 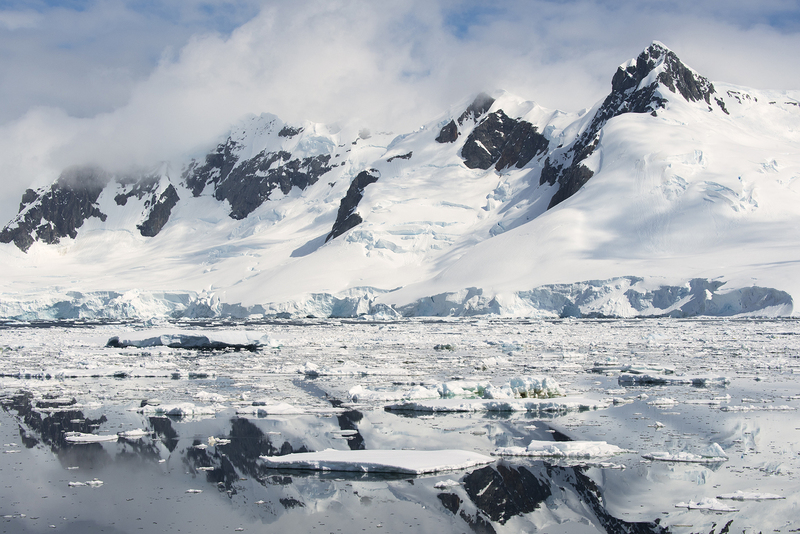 We spent the other half of each day exploring the Antarctic landscape. This was valuable time for us wander on the land and reflect, often subconsciously, on what we had learned. It was also a chance for us to learn about Antarctic wildlife, geology, and climate. And of course, it allowed us to have fun, lobbing snowballs at each other and tobogganing down snowy slopes. Teams that play together, bond together. 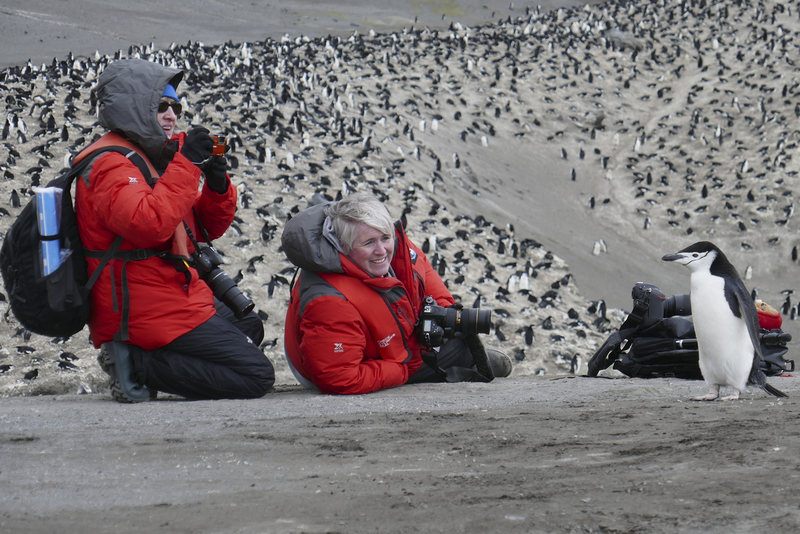 Antarctica was the ideal backdrop for our leadership expedition. Not only is the frozen continent full of leadership stories and lessons from the early explorers like Scott, Amundsen, and Shackleton, it is also a natural laboratory for studying climate change because our polar regions are warming much faster than the rest of the planet. We visited two research stations, Carlini (Argentinian) and Palmer (American), and listened to scientists tell us about the changes they see in Antarctica due to climate change and how research in Antarctica is helping us to understand what is happening to the planet as a whole. No place has ever left such an impression on me as Antarctica has. You can’t help but leave feeling inspired to do something to protect our planet. And Homeward Bound has solidified my commitment to help build a sustainable future and to ensure that women have a voice in discussions about how to accomplish that goal. As I write these words, the second cohort of Homeward Bound women — 78 women from 18 different countries — are on their own expedition. Among them are two Canadians, who will come back equipped to build a better future in Canada and abroad. My hope is that with eight more expeditions to come, more Canadian women will join this global movement to support women in STEM, develop women’s leadership capacity, and secure the future of our planet. The 2019 Homeward Bound cohort has been chosen and the participants have begun the year-long intensive leadership training that precedes the expedition, but later this year, a call will go out for applicants for the fourth cohort of women, who will make the journey in 2020. If you are a woman with a science background, I hope you’ll consider joining the Homeward Bound expedition. For more information, including application dates, please visit the Homeward Bound website. Dr. Shelley Ball is a biologist, educator, photographer and storyteller. She is founder and president of Biosphere Environmental Education, an organization focused on connecting young people to nature.